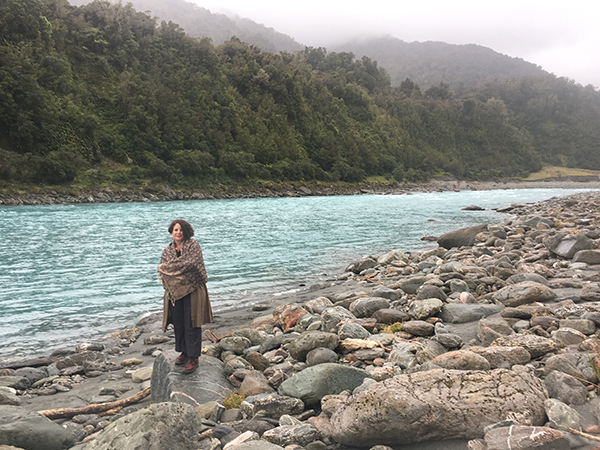 With the kids settled into school and a plethora of relatives on hand to help out, Debbie and I planned an incredible trip to the North and South islands. Debbie was on hand with helpful tips and must-see places, as well as reality checking about what exactly I might be able to achieve in the thirteen days spent traversing this glorious country. This is very helpful if you don’t know the country, or if you do and don’t have a lot of time to plan the arrangements yourself. You wake up when you want, and go to bed when you want, in what can only be described as fantastic, and often unique accommodation – a mix of B&Bs and luxury hotels. You can stop anywhere you want to and B-R-E-A-T-H-E it all in, it is hard not to come away from such a trip without knowing more about yourself and with clarity about your future direction. You have to problem solve issues that arise – the benefit of course when you have an amazing travel agent such as Debbie, is that you are never really facing any tough issues by yourself. For anyone considering a self drive holiday and wanting a level of comfort, having a credible travel agent who has checked out the places, has the business relationships for great deals and knows the country, is a big relief. Debbie is incredibly professional and knows her content. She had me on the plane in less than two weeks in peak season, with a planned holiday that allowed a mix of fun and rest – no easy feat! The highlights of the self drive tour in the North would be White Island at Rotorua, where I took a helicopter ride directly from my accommodation at the Black Swan Resort to the island and back, with lovely companions from the hotel. The resort is incredible and the hospitality endless at the Black Swan, thanks to Arthur and staff. The highlights from the South Island would have to include the fly over Milford Sound with Fly Fiordland and also the self drive through Arthur’s Pass and Haast Pass. Both were equally as stunning, with dramatic scenery that took my breath away and in moments brought tears to my eyes. Nature certainly puts on a show in New Zealand. As a vegan (yes one of those), it is always hard to travel. However, John’s three course vegan meal at Kapitea Lodge, Hokitika was incredible and he made every effort to accommodate the diet, taking it to another level with his scrumptious dishes that other guest were envious about at the end of the night. The days went quickly, and all too soon the holiday was over. I can say that I will be back again, as this trip opened up my imagination to the possibilities and gave me a new lease on life. New Zealand is an incredible country, with so much diversity of landscape and interesting history. There is still so much of it to explore.